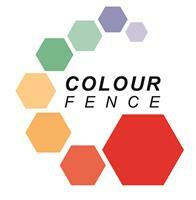 Colourfence Dorset & South Somerset - Fencing/Gates based in Yeovil, Somerset. Myself and Shelley joined Colourfence in April 2014 after successfully running another franchise together for 9 years. Looking for a new business, we identified Colourfence as a product whose unique combination of durability, long life and low maintenance would be in great demand throughout our local region, covering Dorset and South Somerset. No painting, treatment or repairs! Ensures good neighbourly relations, both sides the same! Colourfence is metal fencing at its best, made from Colorbond steel, one of the most advanced steel products in the world. Available in a variety of heights and colours, with or without trellis. We are committed to giving our customers the best service, so why not contact us today for a free no obligation quote.